A Heart for Missions – Will You Join Us? I grew up with wonderful parents who have a heart for others. They have both been on missions trips around the world and have started a Kids Against Hunger (KAH) satellite packing site in my old hometown. 5 years ago when Haiti had their devastating earthquake, the Sioux Falls, SD KAH sent over 1 million meals to various churches/orphanages/groups inÂ Haiti. I personally went on a mission trip to Jamaica when I was a freshman in college and would love to go somewhere again. Marriage, kids and life have kept me from travelling abroad since, but I believe that we can make an impact for the world serving right here at home. For many months I felt a strong pull to start featuring some of the amazing organizations out there that are doing just that, making a difference. We learned about several of them when we went to AllumeÂ the past 2 years. I felt that as a community of God-sized Dreamers we might be able to make a difference together. While my voice may not be loud enough, or my dollar may not stretch far enough, when we come together and pool our talents, resources and voices, change can happen. So I approached Christine with an idea. Starting in January could we take one day a month and feature a non-profit organization that is making a difference in the lives of others? She was supportive, andÂ Mission Moments was born. At Allume, Delonna and I started talking about the idea andÂ we got more and more excited. We both have a heart for missions and we have a feeling that many of you here in this God-sized Dreamer community do as well. So here is the “plan”. On the first Monday of each month we are going to feature a new non-profit organization. Some of these we discovered at Allume and others we have found various other ways, but each organization has a heart for seeking and reaching the lost, the orphan, the lonely and broken. The idea that we can link arms together and make a difference as a community, well that’s just plain exciting! Some of these may be companies that sell fair trade goods, or offer a chance to partner with them…but please hear me on this. Most of all we want to bring awareness, we don’t want you to feelÂ a pressure to give financially. Even a simple prayer lifted up on the behalf of an organization is HUGE. But if you are like me, you may be unaware of these amazing companies, so our heart is to share them and then we pray that God will guide you in what ways, if any, you might join in as well. I grew up with a heart of compassion due to my mother’s ability to love on people where they were. Our house always had guests over for meals and parties. Everyone was welcomed in my home. She taught me the art of loving on people and making them feel special. It’s the little gestures that warms the heart of others. We believe as God Sized Dreamers that collectively we can make a difference in our world. We believe together we can be the hands and feet of Christ through our giving. We want our giving circle to come alongside others and support their God Sized Dreams. We want to pour out love on our neighbors wherever they may be. Together we will live out Mark 12:30-31. We are excited to partner with Pure Charity and start our own giving circle. Each member that wants to participate will donate a minimum of $10 to Pure Charity. Please take a moment to check out our link: God Sized Dreamers. All donations are tax deductible and would be deducted on the 15th of each new month. At the end of the month, we will request that Pure Charity donate any funds raised that month to the organization we featured in Mission Moments. It is a simple way to give back and make a huge impact. We hope you will join us on this adventure. 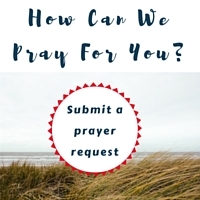 If you are interested in being a part of the giving circle please email us at prayermomentsGSD@gmail.com so we can send you an invitation to join us. Thank you for partnering with us, we feel so blessed to be walking with you in making a difference for others! Kristin Anne Smith is a wife and mother, but most importantly, a daughter of the Kingâ€”redeemed by His grace and so grateful. A woman who has struggled with fear and the lie of â€œnot being good enoughâ€� for most of her life, Kristin has started to find freedom in the transforming work that only Jesus, prayer and a good Christian counselor can offer! 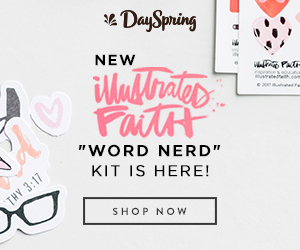 She is a lover of words as a means to process life, and shares stories of her own faith journey to encourage others to seek and trust in God. 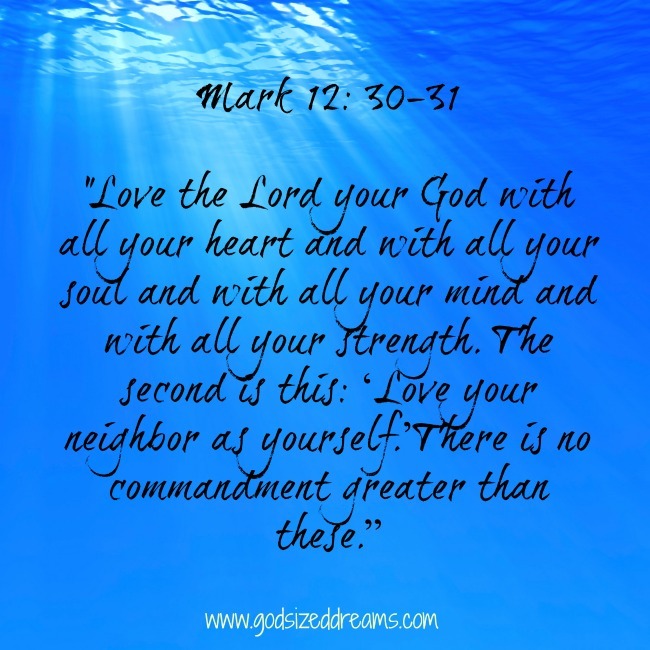 Kristin blogs at The Riches of His Love and can be found on Facebook and Twitter.